Official CW description and preview photos for the Supernatural episode "Peace of Mind"
“Peace of Mind” is the title of the Thursday, March 14 episode of Supernatural and it apparently has some unfamiliar team-ups: Sam and Cas, Dean and Jack! Here’s how The CW describes it. PLEASANTVLLE – Sam (Jared Padalecki) and Castiel (Misha Collins) follow a case to a picturesque little town in Arkansas, only to find out nothing is as idyllic as it appears to be. Dean (Jensen Ackles) and Jack (Alexander Calvert) take a road trip to visit an old friend. The episode was directed by Phil Sgriccia and written by Meghan Fitzmartin and Steve Yockey with teleplay by Meghan Fitzmartin. (#1416). Original Airdate 3/14/2019. UPDATE: After weeks of waiting, some photos are finally here! Find the slide show below. 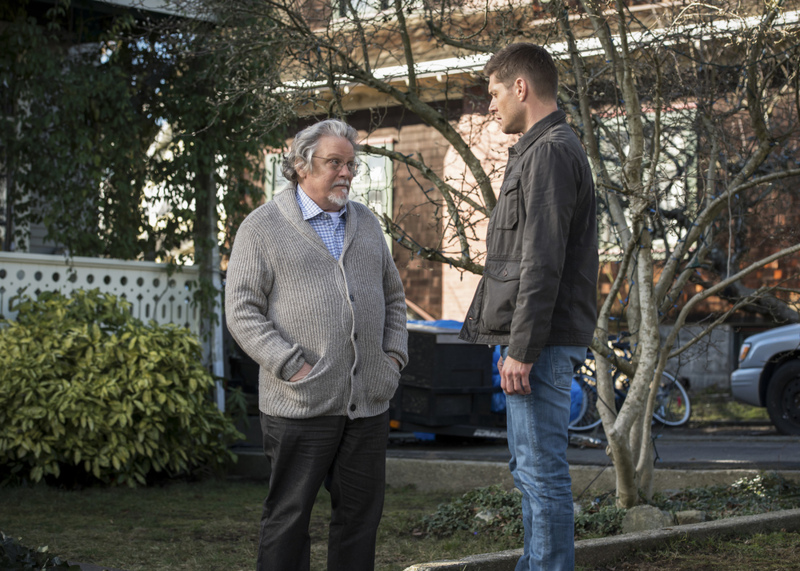 Supernatural -- "Peace of Mind" -- Image Number: SN1415A_0291b.jpg -- Pictured (L-R): Keith Szarabajka as Donatello and Jensen Ackles as Dean -- Photo: Dean Buscher/The CW -- ÃÂ© 2019 The CW Network, LLC. All Rights Reserved.